‘The Messiaen Monster’, ridiculed by critics at its premiere—in the best tradition of works of genius—is now ‘established as one of the most astonishing classics of the twentieth century’, as Nigel Simeone writes in the booklet of this brilliant new release. 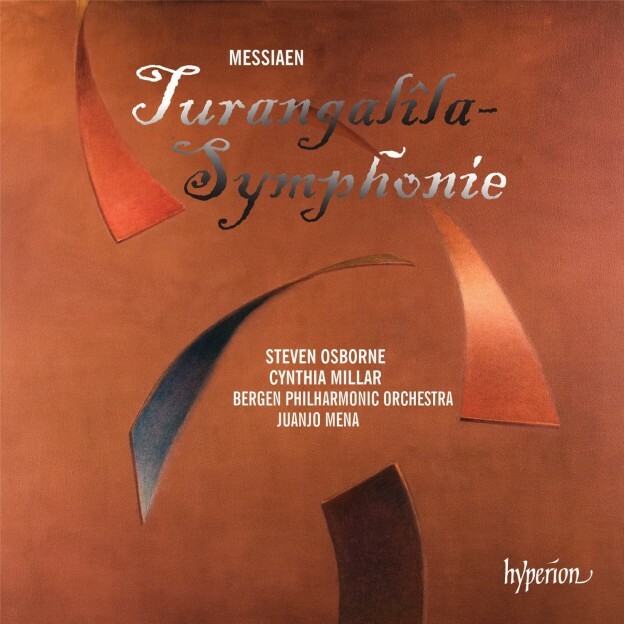 The joyful generosity of the orchestral writing and kaleidoscopic nature of the musical invention make Turangalîla one of Messiaen’s most characteristic and appealing works, considered by many to be his masterpiece. As well as the distinctive sound of the ondes martenot, the other striking feature is the virtuoso piano part—it is in some ways a concerto, although the sheer scale of the orchestral contribution belies that specific title. Rarely has it been more explosively performed than here, with an acknowledged living master of Messiaen’s piano music, Steven Osborne, at the keyboard.